Are you tired to key “W” twice to run in Minecraft? Better Sprinting 1.6.2 and 1.6.4 is a mod that allows us to correct this, thanks to new checkboxes you’ll find in the start customization menu. We’ll find the option to assign another function key to run. Making this you don’t need to stop in the moment you stop sprinting to continue combining running and walking, so will be easier. Although if you prefer it to be always running, just press “G” and the character will run whenever you press any key. If you go often crouched now just need to ley”Y” to remain in that position until you key it again. 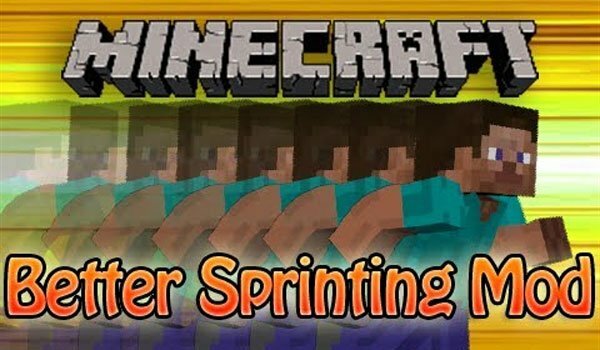 How to install Better Sprinting Mod for Minecraft 1.6.2 and 1.6.4? Leave to rest “W” and “Shift” keys!